Jake picks up where the Big Man left off, supported by a tremendous horns section. As previously discussed in this space, I partook in the customary ritualistic gathering of my peoples this past weekend and attended (for the twelfth time) a stadium performance by Bruce Springsteen and the E Street Band. This marked my third such concert for 2012 on the band’s tour in support of their newest studio-recorded offering. Since the release of Wrecking Ball in March, Bruce seems to have whole-heartedly embraced the theme of ghosts – not scary specters, but simply the spirits of those gone before us; in his own words, “sweet souls departed.” For evidence, take a listen to “We Are Alive,” maybe my favorite track on the album. 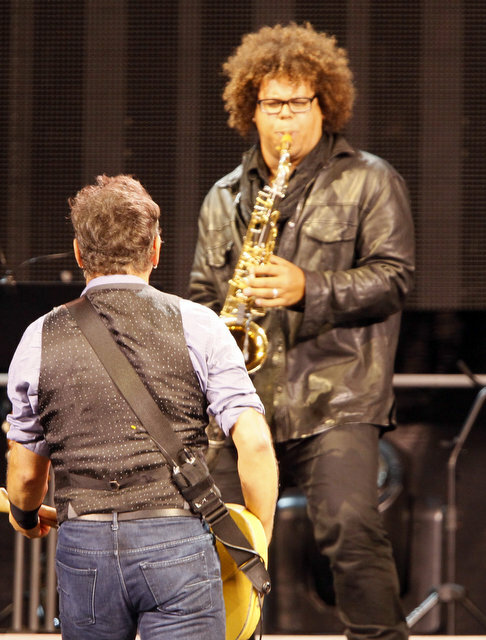 For this first time ever, E Street had to step out on the road without Clarence Clemons this year, and in March, I took in my first Boss show since the month before my father died. Why does this matter? More than anyone else in my life, my dad imbued me with (in my humble opinion) an impeccable taste in music. And, more than anyone else, Bruce Springsteen has singularly provided my life with a rich, beautiful soundtrack. If you can imagine what might happen when I have a few too many beers and get a little sad…well, I kind of made a fool of myself. The Boston show was so early in the tour that no one really knew how Bruce would handle Clarence’s absence, other than hiring a horns section anchored by the Big Man’s nephew. What time is it, Steve? Boss time. 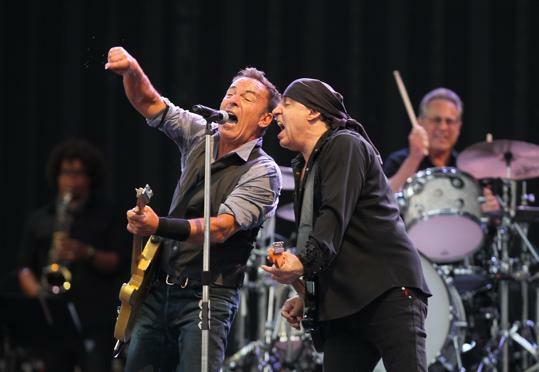 On Saturday, several loved ones and I will partake in New Jersey’s closest attempt at a communal religious experience: Bruce Springsteen and the E Street Band at Giants Stadium. Or MetLife. Whatever it’s called. While I haven’t seen nearly as many Bruce shows as some of my countrymen, it’s not my first rodeo. My name is Jessica. Sometimes I write things - about my family, about my problems, about my snarky opinions, about getting old. I live in Massachusetts but spend the summer pretending I still live at the Jersey Shore. Some things you just can't shake.